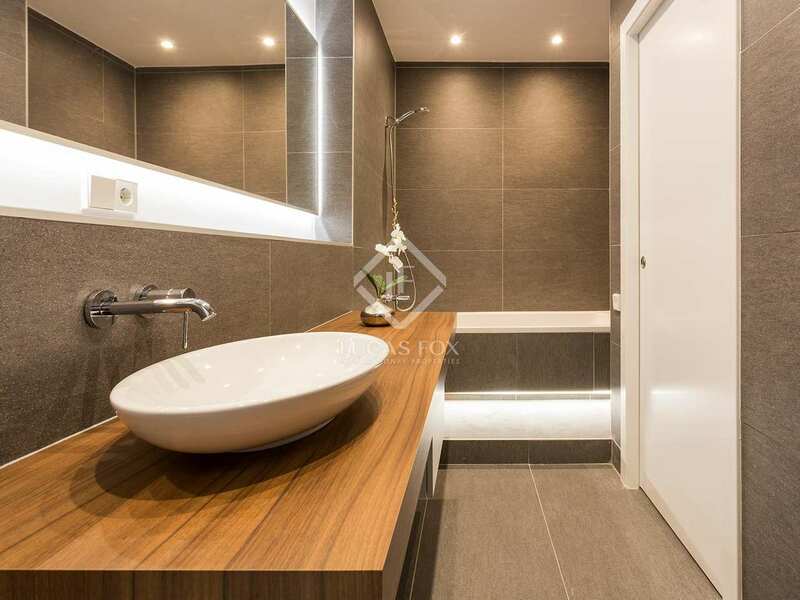 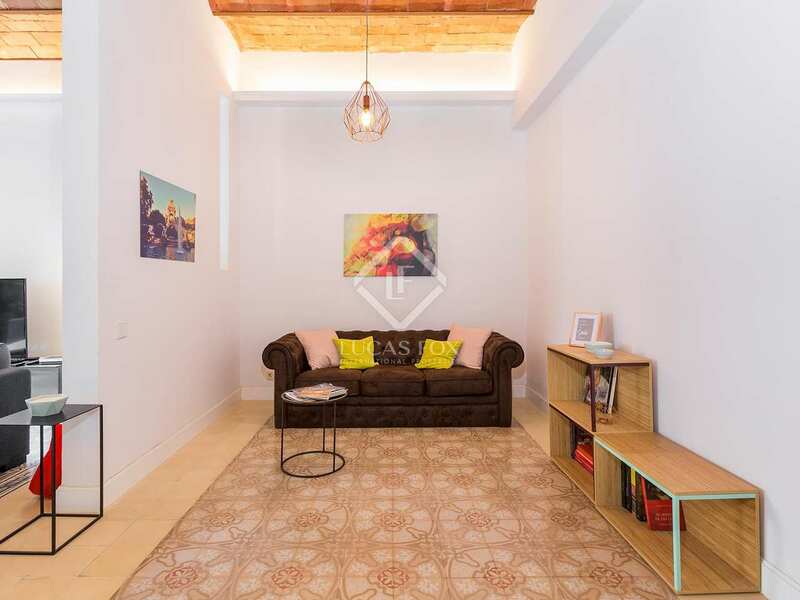 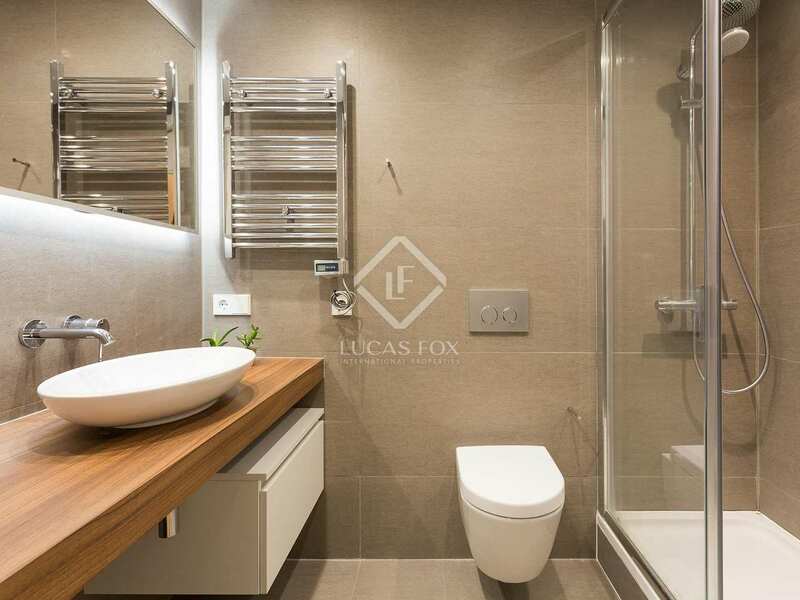 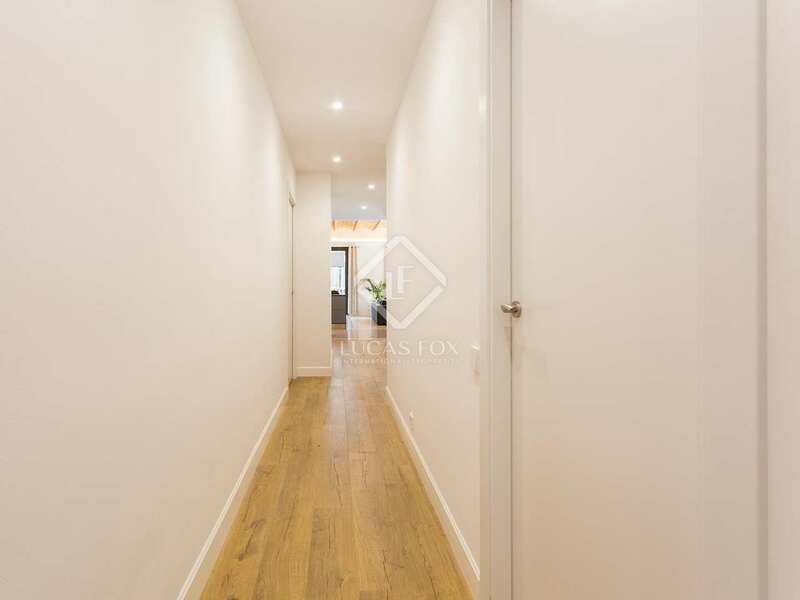 Renovated 3-bedroom apartment for sale next to Plaza Cataluña and Paseo de Gracia. 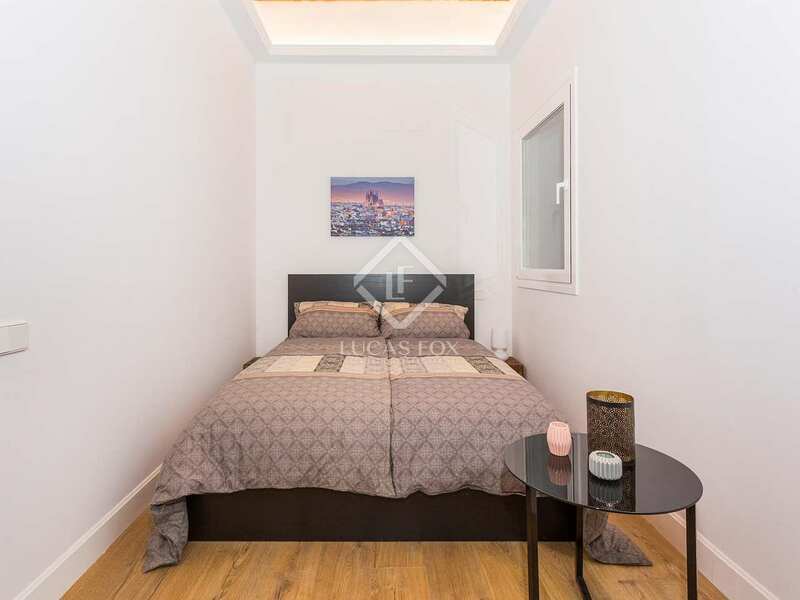 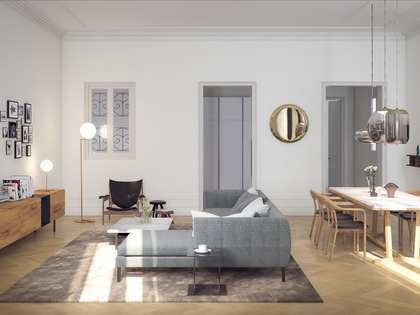 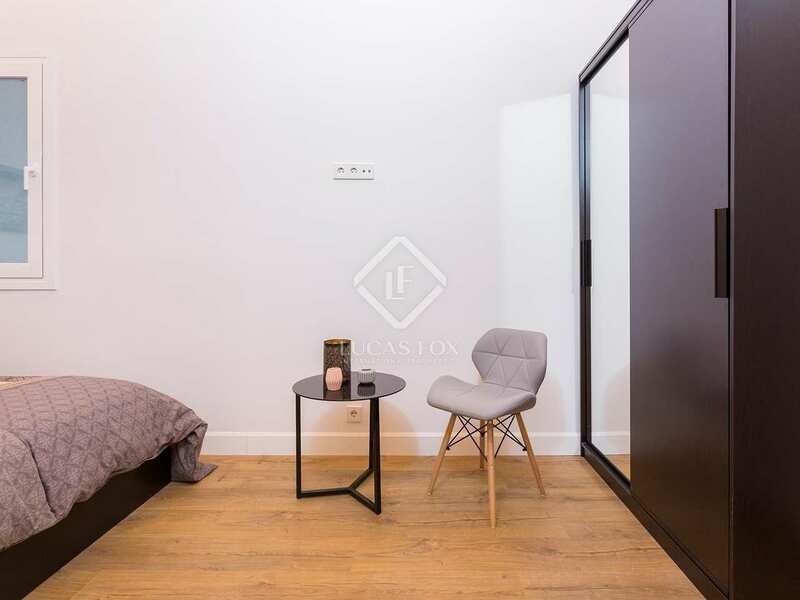 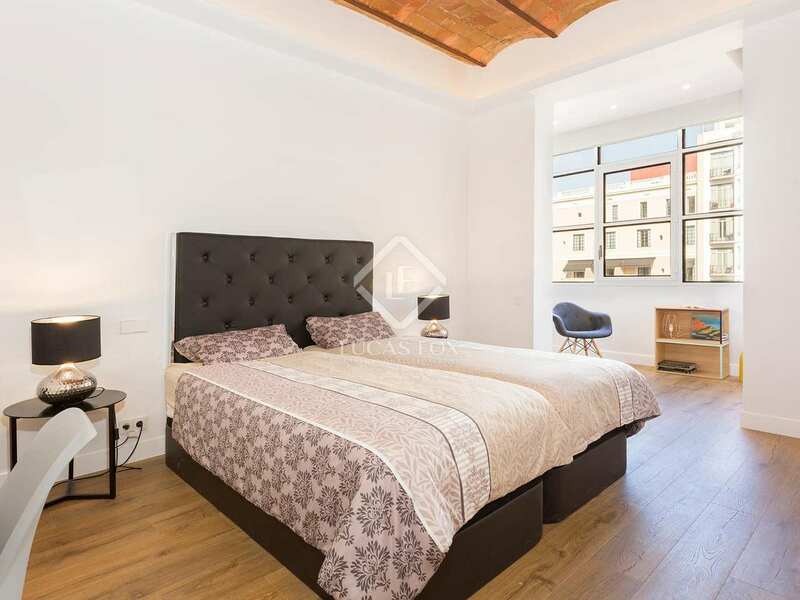 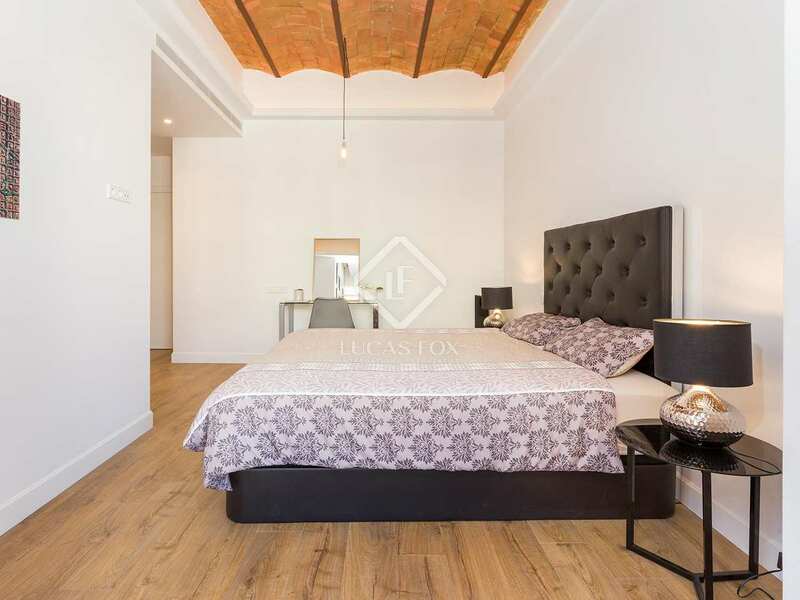 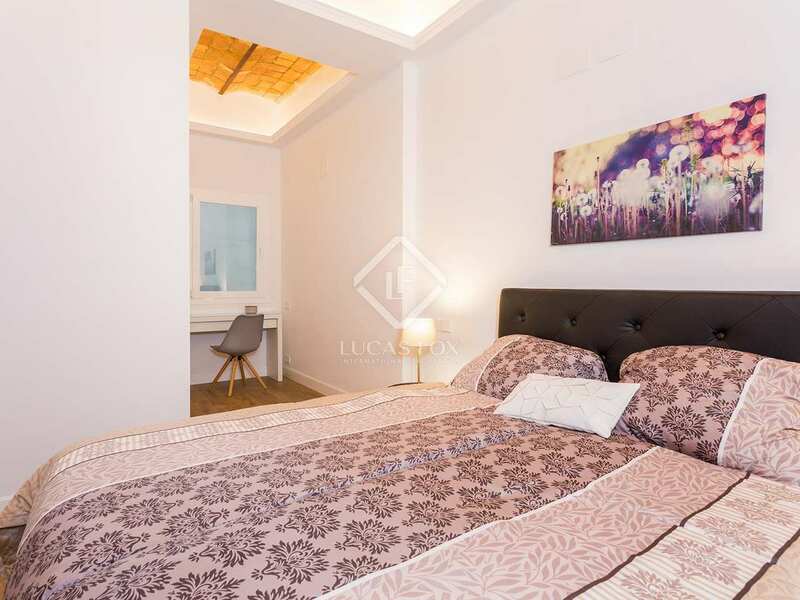 Beautifully renovated, fully furnished apartment for sale in an unbeatable city centre location, next to Plaza Cataluña and the exclusive Paseo de Gracia. The apartment has been thoughtfully renovated to maintain the classic style including the typical Catalan vaulted ceiling and original tiles. 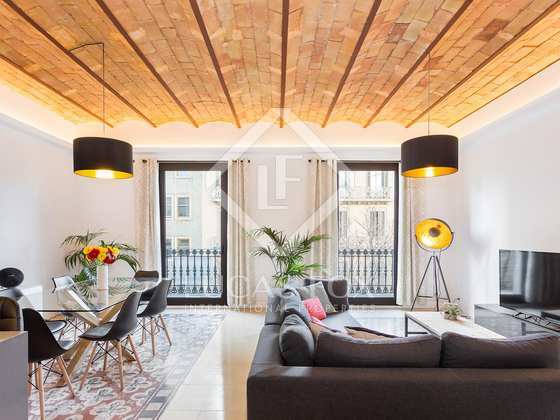 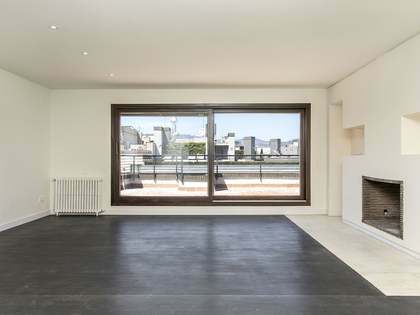 Large, open spaces and high ceilings create a bright and spacious property. 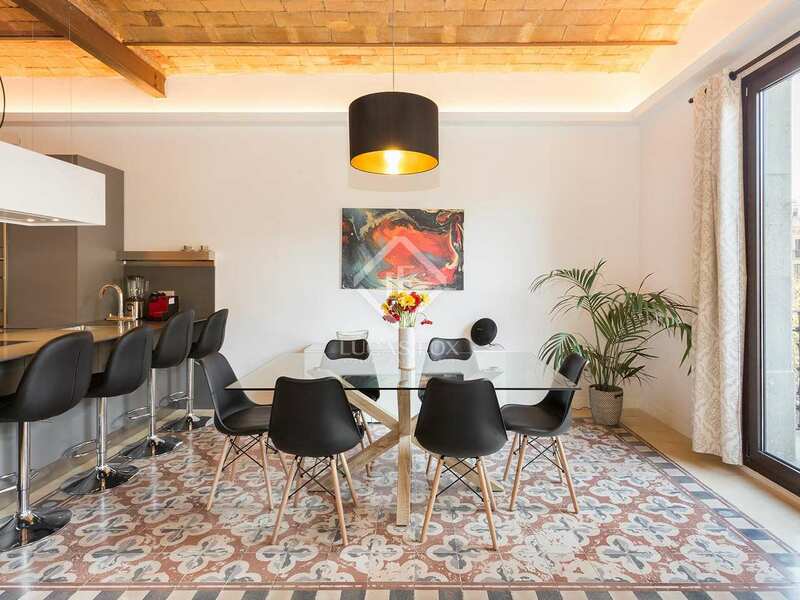 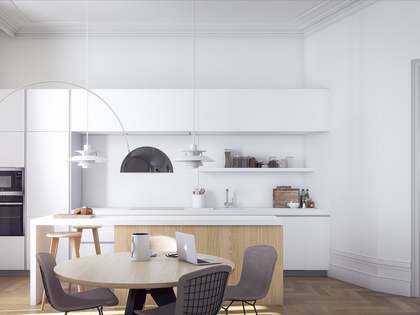 The apartment has been renovated to a high standard; the spacious living area with a HD TV leads onto an open Arclinea kitchen fully equipped with Gaggenau appliances and boasting wonderful Catalan tiled flooring. 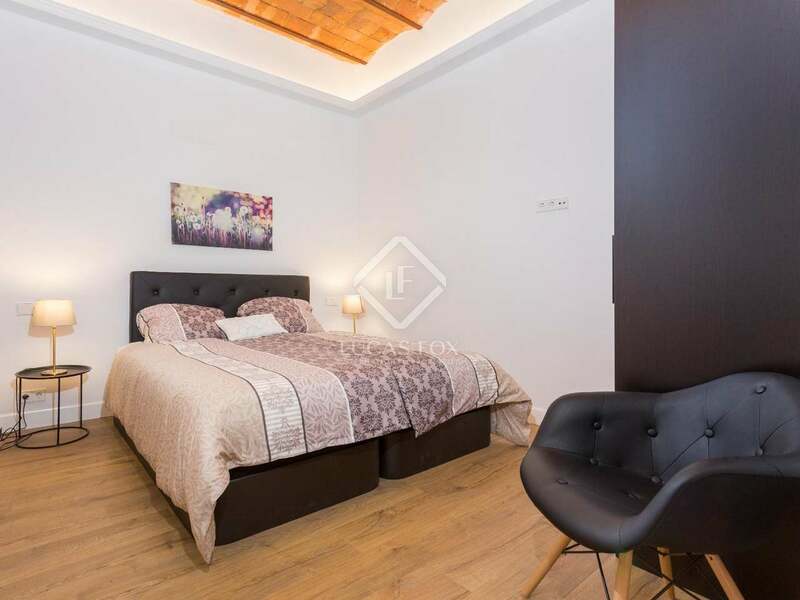 There is attractive parquet flooring throughout the 3 ample bedrooms which have large windows allowing abundant natural light to enter. 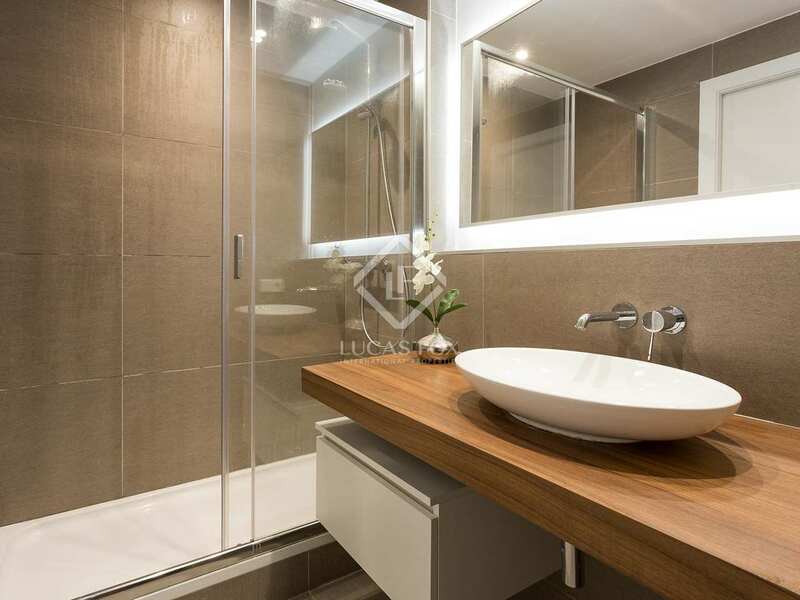 Each of the 3 bathrooms (1 of which is en-suite) boasts granite tiles for a modern and sophisticated finish. 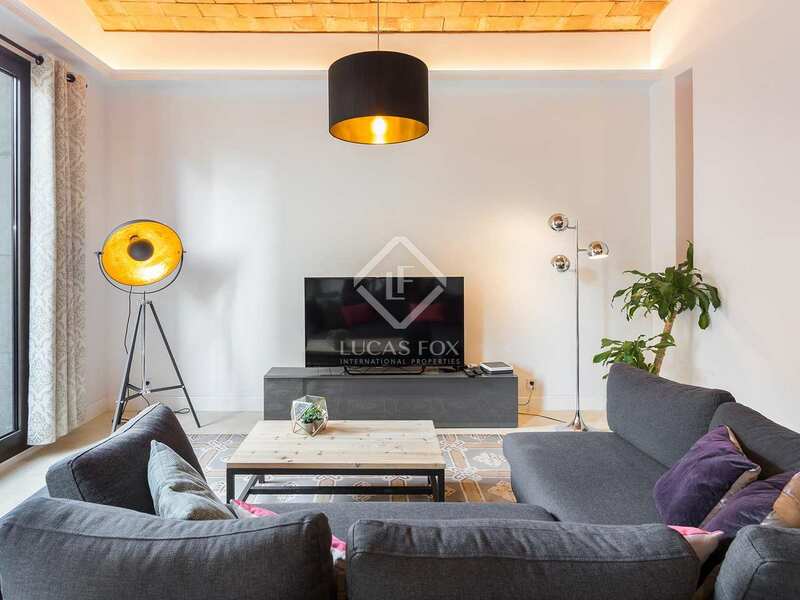 Other features include air-conditioning and fibre-optic Internet connection making this a comfortable family home. 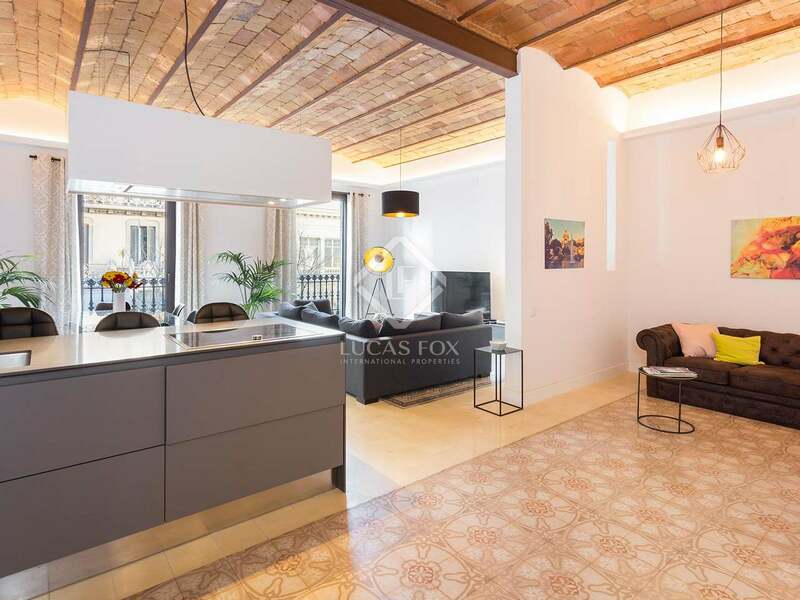 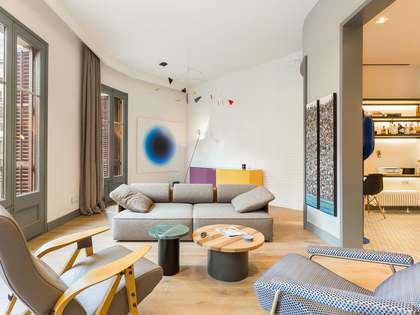 Furthermore the property enjoys a desirable location next to Plaza Cataluña and Paseo de Gracia with its exclusive stores, excellent restuarants and bars. 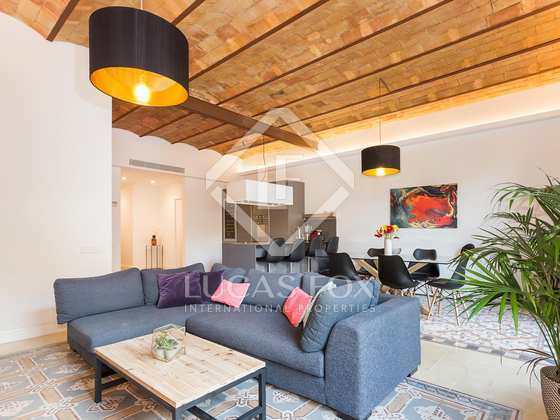 Apartment located in a highly desirable location next to the exclusive Paseo de Gracia and Plaza Cataluña. 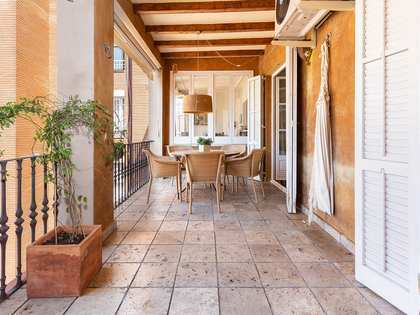 This part of Eixample has many shops, bars and restaurants and is also well connected to the rest of the city with the Paseo de Gracia and Catalunya metro stations close by. 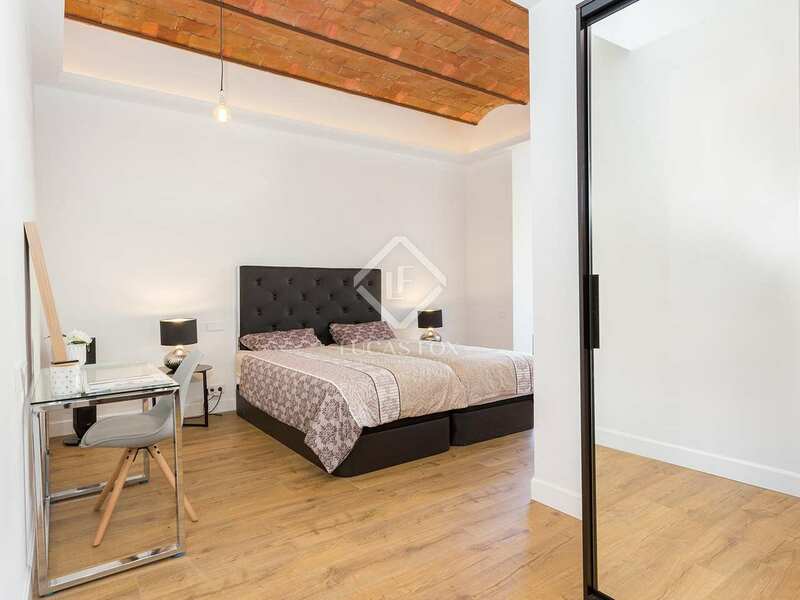 The perfect location for making the most of the city of Barcelona.